This is the third in a series of posts about the teams who will be attending the Institute in November, and their projects. This was submitted by Sean Colbert-Lewis. What are the goals of your project and how do they fit for this year’s Institute? 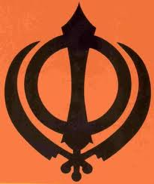 This project will investigate ways in which to use new technological tools such as the camera, smart phones, tablets, and Facebook to enable scholarly endeavors regarding the presentation of the religion of Sikhism. 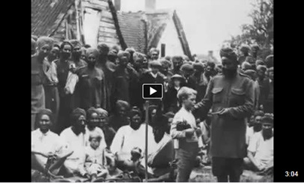 Historically and currently, most practicing Sikhs are Indian in ethnicity, and they have been a part of American history since the first Sikh immigrants arrived in this nation in 1899 around the Pacific Northwest. Sikhs contribute to this nation and around the world as politicians, medical doctors, college professors, military personnel, etc. Facebook, for instance, serves as a multimodal means to communicate this through pictures and URL links. Our project team has the goal of providing examples of various instructional technologies that serve as a conduit to conduct original research. Who is on your team, and what are you hoping they will contribute to the project? Professor Colbert-Lewis will introduce the topic and the importance of knowing the correct information about Sikhism. Moreover, he will discuss in separate workshops the importance of educators (especially pre-collegiate educators) possessing accurate knowledge regarding diverse religious groups. Danielle M. Colbert-Lewis, MLIS, MA.Ed. Librarian Colbert-Lewis serves as a reference librarian for the Reference Services Department at the James E. Shepard Memorial Library at North Carolina Central University. Mrs. Colbert-Lewis will provide insight to the collaborative role that college educators and administrators, residence program directors, and librarians have in fostering safe learning environments. Moreover, Mrs. Colbert-Lewis has experience in using various technologies such as smart phones and cameras to conduct research and present research findings, and she will serve as a major conduit to discuss the proper approaches to using these technologies for research and the potential positive and negative legal ramifications of using these instructional technologies. Librarian Grimwood, a school media specialist librarian, will share how librarians and teachers may collaborate to 1) educate students on diverse cultures, 2) introduce the multitude of electronic resources that exist that allow both teachers and students to conduct research beyond the confines of a textbook, and 3) creating safe learning spaces for patrons who are members of underrepresented groups. Librarian Murad will serve this program by taking a lead in discussing the roles that academic librarians have in guiding patrons (including faculty, college students, and the public) and also introducing some examples of the latest technologies that exist for patron use in searching and conducting research on little-to-unknown topics. Moreover, as a devout Muslim, she will provide valuable insight into the importance of knowing the resources that help inform, educate, and eradicate stereotypes regarding Indians and the various global religions (Sikhism, Buddhism, Hinduism, Islam, Christianity, Judaism, etc.) that are practiced by them. Librarian Scott-Branch will serve this program by discussing the role that reference librarians have in conducting research and providing electronic and print resources for patrons to use in conducting research. Mrs. Scott-Branch will present how these resources lead to pertinent information on the members of underrepresented groups in society, such as the Sikhs, that patrons may use to conduct research. Professor Cook will contribute to the scholarly institute by highlighting examples of the use of instructional technology such as multimedia presentations, Voice Thread, and digitally-enhanced podcasts in the teaching of English and history courses as a means to help guide students in conducting and presenting groundbreaking research. What do you look forward the most from SCI, and what do you hope to accomplish through the Institute? The team looks forward to work together on this project to address this urgent need to introduce the importance of knowing about the global Sikh community and the Sikh religion for social justice purposes. We look forward to meeting other scholars and advocates of social justice through the Institute. Do you have plans for next steps after the Institute? Ideally, the all group members would like to share, through presentations, the results of this research in annual statewide and national academic conferences. The conferences that come in mind for our team include the American Library Association, Association of College Research Libraries, the North Carolina Council for the Social Studies, and the National Council for the Social Studies. We consider our research pertinent to the worlds of academic librarianship, liberal studies, and teacher education since these disciplines contain volumes of scholarship devoted to the incorporation of instructional technologies to promote new forms of research and pedagogy. Moreover, at the local level we would like to conduct workshops in teacher education programs across the Research Triangle and Piedmont Triad metropolitan areas on how the use of these technologies may lead to the encouraging of multicultural/diversity dialogue between groups representing a majority and those who are among the underrepresented. This entry was posted in 2014 Institute, Teams and participants and tagged Presenting Positive Information about Sikhism Beyond the Textbook. Bookmark the permalink.